George Bullington, a jockey agent at Santa Anita Racetrack, and J.D. Dahlen tended bar together at the original Courtroom located on Herschel Avenue in La Jolla. 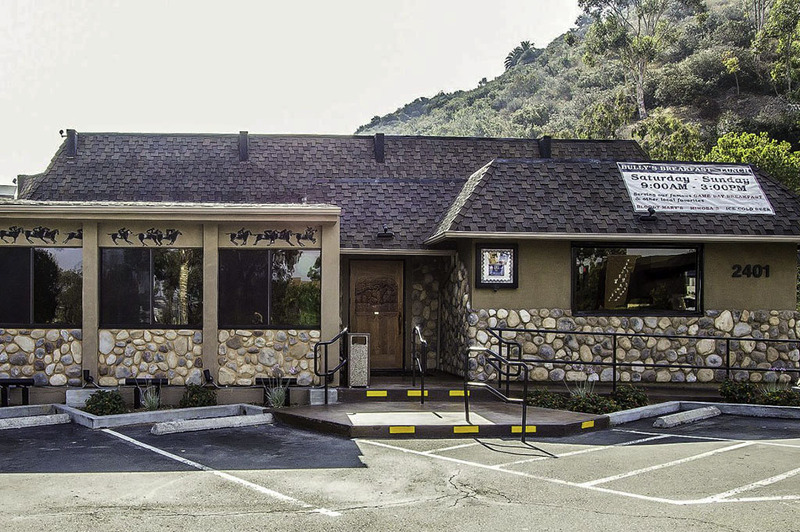 George, known as “Bully” around the track, and Lester Holt, a thoroughbred horse trainer, opened Bully’s La Jolla in the Birdrock Area in 1967. Thus the name Bully’s and the race horse logo. At that time he brought J.D. to manage the bar. The restaurant became an overnight success. Bully’s took “prime rib” from banquets and Sunday buffets to a menu that offered it every day in various sized cuts cooked to your individual taste. Bullington, an innovator of late night dining, began serving dinner until 12:15 AM nightly. He was also the creator of the “Keoki Coffee.” Keoki meaning George, his namesake, in Hawaiian. Bully’s success in La Jolla fueled their opening of Bully’s north in Del Mar in 1968. Timing is everything and in 1971 George, Lester and new partner, Frank Sanchez, brought J.D. 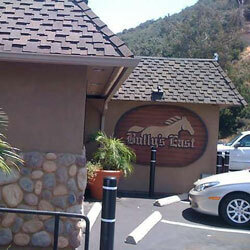 to an A & W Root Beer stand in Mission Valley to become the managing partner of Bully’s East. Since then J.D., his wife Ginny and son Derek have become the sole proprietors of Bully’s East keeping the long-standing tradition of serving the best prime rib in town.